(Phys.org) —ARM chip makers TSMC and GlobalFoundries have revealed that they plan to release ARM processor chips capable of running at 3GHz sometime next year. Such chips will almost certainly be welcomed with open arms by the users of the millions of phones, tablets, etc. which have them as part of a System-On-Chip (SoC) platform. 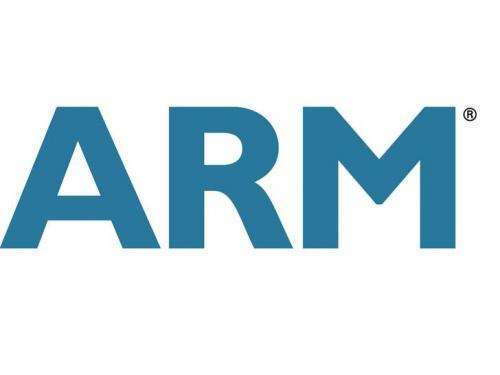 ARM chips are a type of RISC processor licensed by ARM Inc. They are considered medium to high speed, as compared with other chips, such as those that are used in personal computers. They are used in everything from phones (both Android at iPhone), to tablets, television sets and a myriad of other products. The fastest of the current crop is 2.3GHz—though most are closer to the 1.6GHz processor used in the Galaxy S4. As occurred with personal computers, chip makers are eager to make hand-held devices run faster with each new generation allowing users to run ever more sophisticated apps. To get the new chips to run faster, both chipmakers will be utilizing a 20nm process to create the new chips—28 is the current smallest standard. That both claim, should allow the chips to be more efficient, which should mean less power hungry, resulting in less battery drain for users. The arrival of faster ARM chips might also help to stave off the recent incursion into the field by PC chip maker Intel with its Bay Trail chips (recent testing showed them to be approximately 30 percent faster than the fastest Arm chip), a company that very much wants to make a move into ARM chips territory as sales of personal computers have declined—all while sales of phones and tablets have soared. AMD, the only other major chip maker for PC's has also been working on an ARM competitor and likely will introduce something next year as well. All of this is good news for consumers of course—the more competition in the market the better the ultimate products will likely be. Not only will they be faster, and use less battery power, they'll also likely include features not currently available on phones and notepads that personal computer users have taken for granted for years. 3 ghz?? Its overkill. As it is even the current fastest chips are running hot sometimes. So instead of madly rushing to increase clock speed, companies should focus on making chips 'better'. Clock speed isnt everything. And an 8nm decrease in die size isnt significant for battery life. For example..intels 32 nm chips did not have significant increase in battery life than the previous 64 nm. 2) the other factor is bad programming. making the programming more efficient so that less cpu usage is required will lead to less cpu need and thus less energy leakage. so smaller does help make chips -- ""better""
Better is typically application specific. Clock speed not so much. El-Nose is correct about "bad programming". Most applications these days are running a factor of 10 to 20 times slower than necessary as a result of bad programming, and horrible compilers and horrible hardware environments. Often with some hand optimization, speed improvements of a factor of 100 to 200 and sometimes more can be seen. And this is the kind of improvement that you see with a single core. The called function then does a field by field comparison of the name property in some internal database, and when it finds the proper name, it gets a pointer to the desired data set, and then links through the data (linked list) set for the appropriate record at which point it adds a predefined offset to get to the proper position in the record. it then calls an Environment function to create a new string object with the same properties as the passed string, and then takes the pointer returned and places it at the computed address. go back to whining about the almost non-existent AGW where your stupidity is applauded. Poor VendiTard. It is as ignorant of computer systems as it is ignorant of the real world around itself. The world is more nuanced than VendiTard has the mental capacity to comprehend. Also consider that lots of compute cycles nowadays are consumed supporting stuff like 3D manipulation and other "rich" UI attributes. We could have 8bit-style graphics, but nobody would like them. It was only when intel went 3D did it help it with energy leakage. My guess is this 3Ghz processors by arm will remain 2D. As for programming, you are right, but there is still a while before programming becomes more efficient enough to do that.